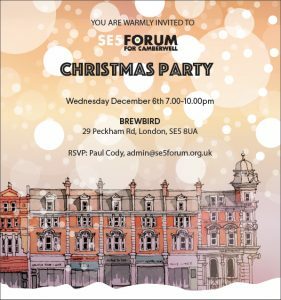 Due to the impending “Storm Brian” due tomorrow, the SE5 Forum stall at The Farmer’s Market on Camberwell Green will not be present. If “Storm Brian” decides to take a different route, then the team will evaluate in the morning, so watch this space….! Don’t forget to HAVE YOUR SAY in the Public Consultation on Police Front Office closures. Deadline for responses is 5:30pm on Friday 6 October 2017. 3. 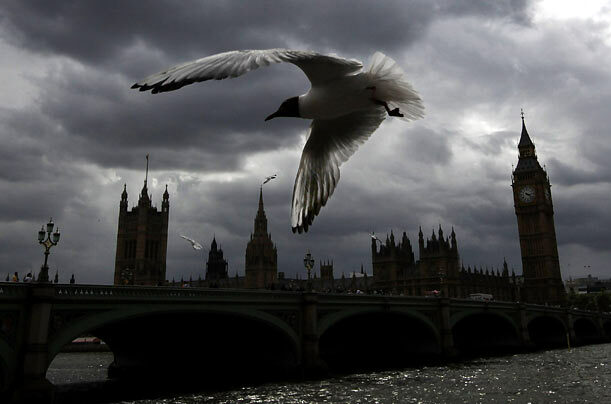 Write to: Public Access Consultation, MOPAC, City Hall, The Queen’s Walk, London, SE1 2AA. 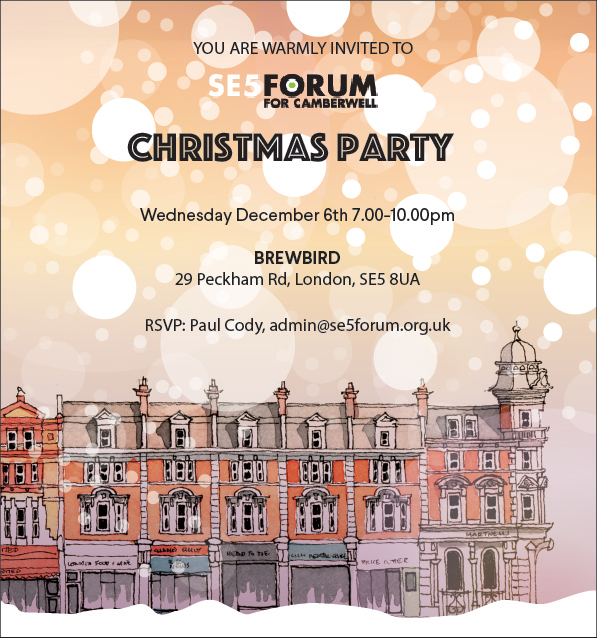 Please note that this applies borough-wide. 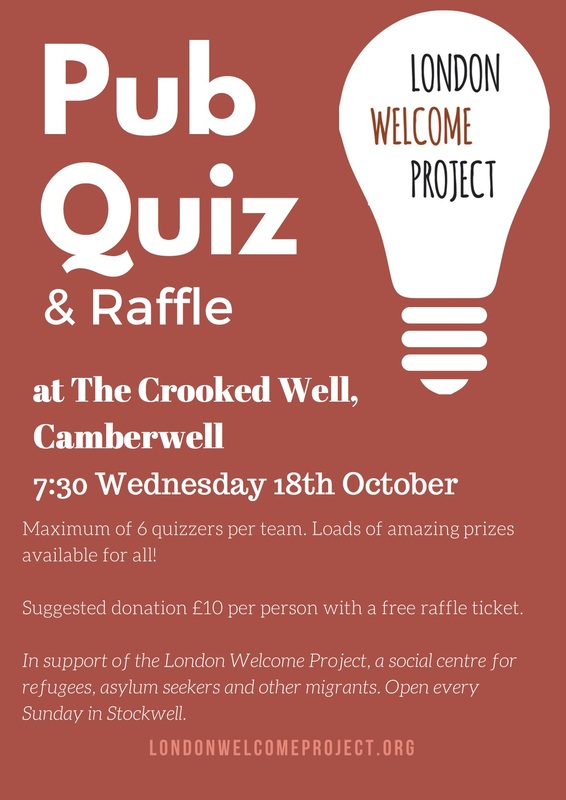 The London Welcome Project is a social centre for refugees and asylum seekers, who are hosting a fundraiser quiz and raffle at the Crooked Well on 18th October. 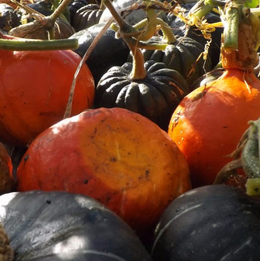 We need a hand at our Harvest Festival, 2-6pm Sunday 24 September, setting up marquees, stewarding, litter picking and baking cakes for the cake stall. Contact Tori community@myattsfieldspark.info. 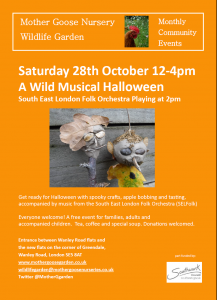 Great music, nature-inspired fun and lovely food – including our famour bake off. Bring your entry to the cake stall by 2.30pm. 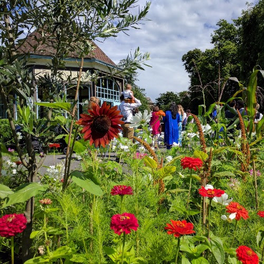 Please support the park by voting in the Green Flag Awards People’s Choice and help by spreading the word to all your friends, family and fellow park fans. It only takes one click to and you don’t need to register. But be quick – voting closes 30 September. Spend an invigorating half-day getting up to date with the roles and responsibilities of those in governance/trustee positions. 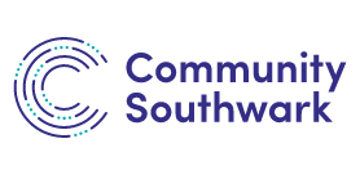 Community Southwark workshops are ideal for those new to trusteeship or simply looking for a refresher. Using games, exercises, peer learning and lectures, we provide the key information and space to think about the key governance issues affecting your organisation. We will explore roles and responsibilities, duties and liabilities, the Code of Good Governance and where to get quick support. By the end of the course, you will be able to up-date the rest of your board and carry out your duties with confidence. Lunch is not provided for this course. Ideally, please bring a sandwich or something with you so that we can chat during this time. We offer bespoke training and consultancy for organisations wishing to undergo a tailor-made programme specific to their requirements. For more information please call 020 7358 7020. 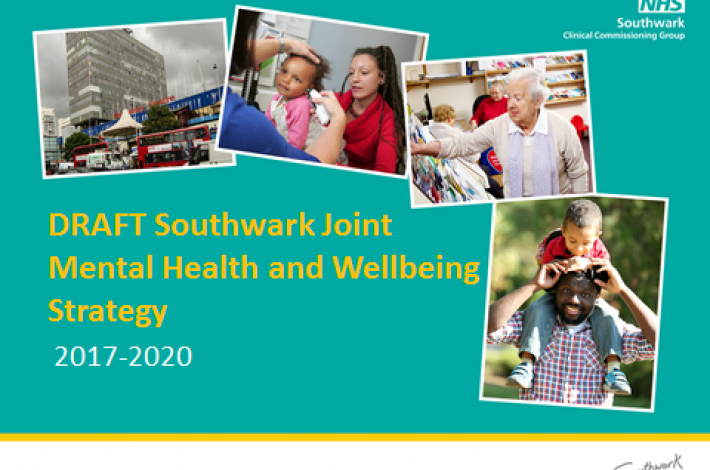 Since October 2016, NHS Southwark Clinical Commissioning Group (CCG) and Southwark Council have been working with NHS organisations, the voluntary and community sector, users of services, carers, and local residents to develop Southwark’s mental health and wellbeing strategy. The CCG and Council have been talking about what is important, what services need to be in place, whether there are any gaps, and what works well and what needs improving. They want to improve mental health and wellbeing by getting the most from every pound spent on health and care in Southwark. The strategy is the start of a process to consider how best to spend the available money in this area. The CCG and Council are keen to learn what you think about the steps that are being proposed to improve mental health care in Southwark. / Give people the skills they need to stay well and support one another. Clink here to access the full consultation and the summary of the draft strategy and to give your views through the online survey. The consultation closes on 10 September 2017. TFL have been working in partnership with Southwark Council to deliver safety improvements at the Camberwell Green junction because its recent collision history ranks it as a priority for improvement. Their plans aim to improve safety for pedestrians and cyclists in the short-term as we continue to work with Southwark Council and the local community to develop more transformative proposals. Their designs are coordinated with Southwark Council’s other plans for the area, including ‘pocket places’ on side streets. Question and comments deadline is 3rd September, 2017.